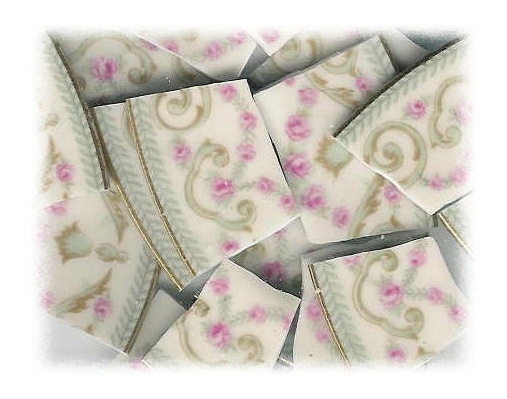 16 tiles from Bawo & Dotter china plates. Pink roses, aqua & gold accents, gold rim on white china. All rim tiles.